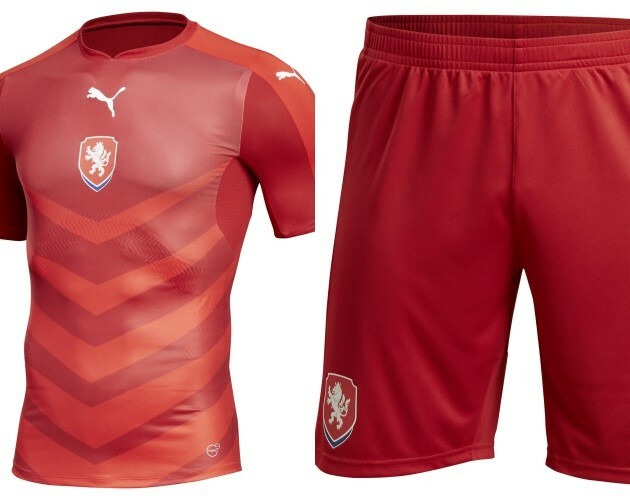 The new Czech Republic Euro 2016 Home Kit introduces a fusion shades of red, manufactured by Puma. It was released on November 9, 2015 and the new Euro Czech Republic shirt will be worn by the players against Poland on 17 November, 2015. The central colour of the new Euro 2016 Czech Republic home shirt is brick red, and includes a striking contrast of crimson red in V-shaped pattern of varying width / progressively increasing width on the front. A strip of broad crimson red runs from the collar to the sleeves on both the sides. 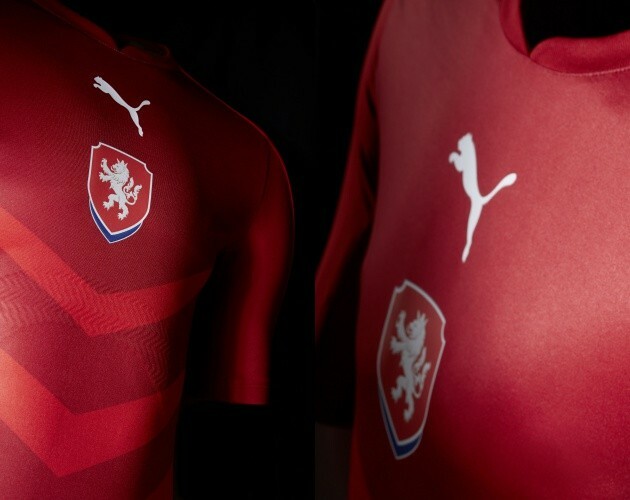 In the chest region, the Puma logo in an unusual fashion, is arranged centrally on the top of the Czech Republic football crest. Another set of Puma logo is observed on the sleeves. Furthermore, the Puma logo is present on the short and the socks as well. The short and the socks also follow the same colour combination. What do you think of the new Czech Republic Euro 2016 shirt? Let us know on Twitter and don’t forget to check out our comprehensive Euro 2016 kits review.